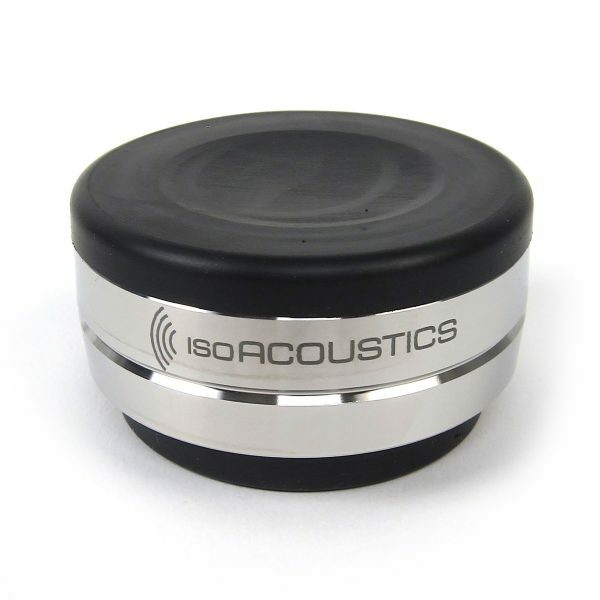 IsoAcoustics OREA Bordeaux Isolation Pucks eliminate parasitic vibrations, providing greater sound clarity and focus. The OREA Bordeaux pucks are ideal for heavy weight audio separates including Amplifiers, DAC’s, CD Players, Speakers, and Turntables. 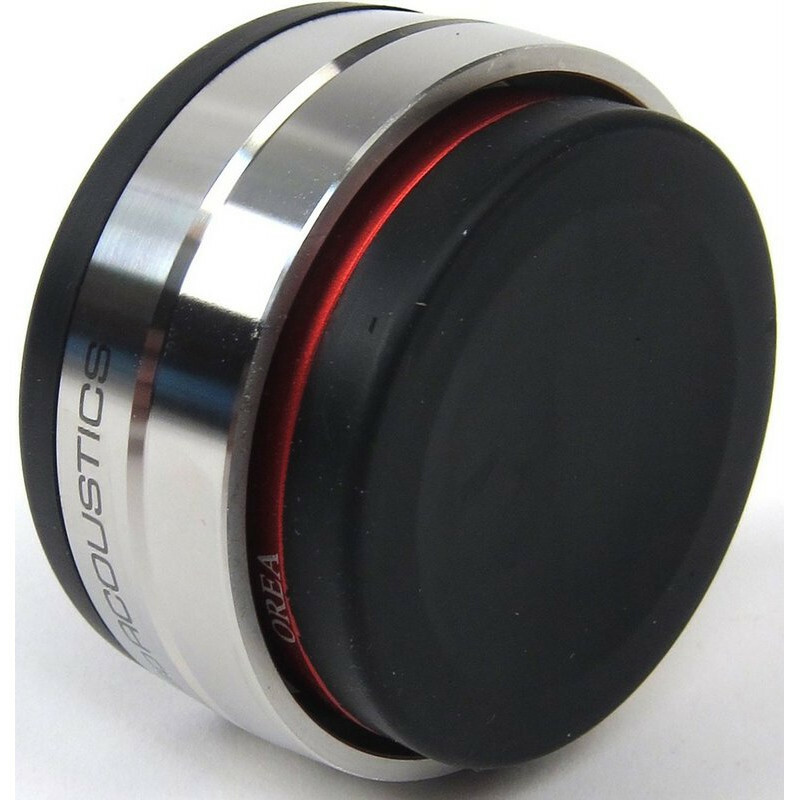 Made of machined stainless steel, the IsoAcoustics OREA Bordeaux Pucks have a low-profile design to minimise any increase in height. Each IsoAcoustics OREA Bordeaux will hold up to 14.5 Kg and have a coloured ring on the bottom isolator that denotes the model and weight capacity. The OREA series are packaged individually to allow greater flexibility when determining the number of units to use. We recommend a minimum of 3 units beneath each component, dependant upon weight. 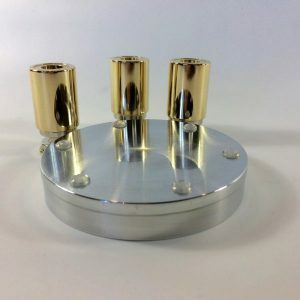 The upper flange of the OREA Bordeaux is designed to provide a suction cup like effect and adhere to the underside of the component, while the lower flange adheres to the supporting surface. All the energy is managed within the core of the OREA Bordeaux, which are tuned to work within a specific weight range. 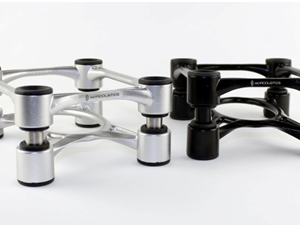 This results in greater sound clarity and a more open soundstage providing authentic, three-dimensional sound. The existing feet on an audio component may connect well and fit nicely around the perimeter of the OREA Bordeaux. 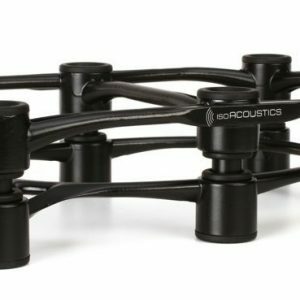 Alternatively, you may get better performance by either removing the feet entirely or placing the IsoAcoustics OREA Bordeaux Isolation Pucks around the existing feet to have them connect directly to the chassis or base of the component.